I made this tray for a graduation party. 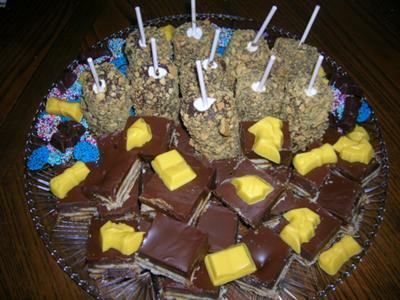 It included chocolate peanut butter candy bar, chocolate dipped marshmallows in crushed graham crackers & nonpareils. Then I added graduation minis.